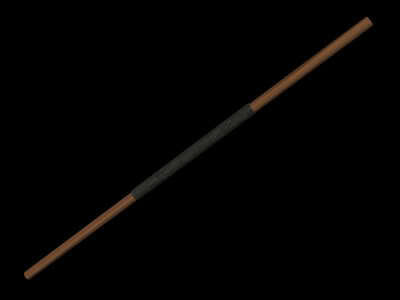 The staff is typically a blunt weapon, though some feature a small blade or point on the end. The staff can be made of almost any material, though are commonly found in wood, polymer, or even durasteel forms. They can bear great ceremonial significance in some societies, and are often ornate. Others are simply a walking stick pressed into combat service when the need arises. The staff has the advantage of length, which can offer a vital advantage over an enemy.